Voguish and Calamity, a blog about fashion, misadventure and food, life and laughing through the storms. I’m Vanessa and I like to think that I’m the Voguish part of Voguish & Calamity. I call my husband Calamity because of his innate ability to find and create disasters and get into all sorts of calamities. I love fashion and writing, he loves chess. We both love food. We’re partial to the odd kitchen disco. Because we have kids and don’t get out much. He has no part in writing or creating this blog, apart from giving me some amusing material to write about. I learned to make dresses at a young age thanks to growing up with two wedding dress makers (grandmother and mother). This meant I was designing my own clothes from the age of eight because there was always someone willing to make it for me. I went on to study clothing design at Elizabeth Galloway’s Academy of Fashion. As a Product Developer and Buyer, I’ve always been required to constantly be in the shops doing competitor shopping, looking for inspiration and being aware what other brands are doing. Apart from my love (some might say obsession) for shopping, I have been doing it professionally for many years. In 2009, after having the first of my two offspring, I did a personal styling course to adapt my skills from working with brands to working with individuals. Calamity says that our house is one big Dress-up Box (like this is a bad thing?). Many friends ask: “you have so many clothes, where do you put it all?”. Err, under the bed, in the loft, any free space I can find. But I also find things in my wardrobe that work with the new trends, always finding ways of making old items look new. Storing, customising, updating. You don’t need to spend a fortune or buy an entirely new wardrobe to be fashionable. 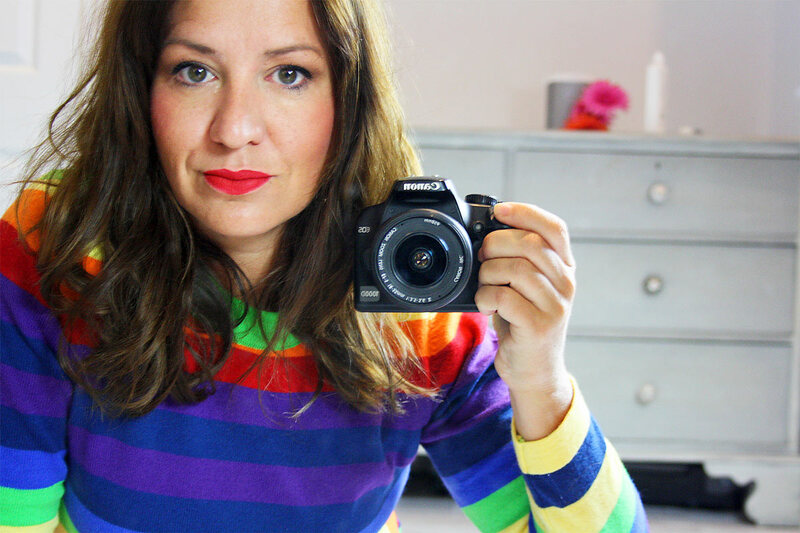 If you are looking for help with your styling, have a look at my personal styling page. Although I may collaborate with brands and have affiliate links on my blog, I will only write about and endorse products that I love and would wear or use myself. My mantra is honesty with a touch of humour and sarcasm. That’s how I write and how I review things, exactly as I see them.